April 2018 marks five years since the launch of Campaign to Stop Killer Robots. It is also the fifth time since 2014 that governments are convening at the Convention on Conventional Weapons (CCW) in Geneva to discuss concerns over lethal autonomous weapons systems, also known as fully autonomous weapons or “killer robots.” The campaign urges states to participate in the CCW Group of Governmental Experts meeting, which opens at the United Nations (UN) on Monday, 9 April, and to commit to retain meaningful human control of weapons systems and over individual attacks. The following “Frequently Asked Questions” provide background on the meeting of the CCW GGE meeting, which representatives from more than 80 countries are expected to attend. Media wishing to attend the meeting and cover it must be accredited to the UN in Geneva or announced to the UN Information Service (UNIS). The CCW meeting will not be broadcast live via the web or other means, but selected country statements will be posted online and campaigners will provide live updates on social media, particularly Twitter, using the hashtag #CCWUN. CCW delegates and accredited media are welcome to attend the campaign’s lunchtime side event briefings for CCW delegates on Monday, 9 April and Wednesday, April 11 in Conference Room XXIII. The 1980 Convention on Conventional Weapons (CCW) is a framework instrument that contains five separate protocols, including Protocol IV which preemptively banned blinding lasers. A total of 125 nations are “high contracting” or state parties to the CCW, including all five permanent members of the UN Security Council. CCW meetings are open to all states, UN agencies, the International Committee of the Red Cross (ICRC), and registered non-governmental organizations including the Campaign to Stop Killer Robots. At the end of 2013, states agreed that the CCW should begin considering questions relating to lethal autonomous weapons systems. More than 80 states participated in three exploratory “informal meetings of experts” on the topic in 2014-2016. At the end of 2016, states formalized their work by establishing a “Group of Governmental Experts” or GGE, which first met in November 2017. The CCW will meet for twice as long in 2018, with the first GGE meeting on 9-13 April and the second on 27-31 August. Armed drones and other autonomous weapons systems with decreasing levels of human control are currently in use and development by high-tech militaries including the US, China, Israel, South Korea, Russia, and the UK. The concern is that a variety of available sensors and advances in artificial intelligence are making it increasingly practical to design weapons systems that would target and attack without any meaningful human control. If the trend towards autonomy continues, humans may start to fade out of the decision-making loop for certain military actions, perhaps retaining only a limited oversight role, or simply setting broad mission parameters. What will happen at the April CCW meeting? States participating in the 2018 CCW meetings will not take any formal decisions, but aim to produce a GGE report with findings and proposals on the way ahead that will be adopted at the CCW’s Meeting of High Contracting Parties on 21-23 November 2018, under the presidency of Ambassador Janis Karklins of Latvia. The GGE chair has invited states to prepare for the GGE meetings by producing and submitting working papers in advance. Read the CCW working papers provided by the United States, Russia, Poland, and the Non-Aligned Movement. The CCW does not accept working papers from NGOs so the Campaign to Stop Killer Robots has prepared a 3 ½ page Briefing Note to guide states that is also available in French and Spanish. Outline the preferred pathway forward, resisting measures that fall short of a legally binding instrument and calling for negotiations to begin. While the exact wording of legal definitions would be finalized during negotiations as required, a shared understanding of key characteristics and their relationship to key terms would facilitate effective discussion at the CCW meeting. States should come prepared to the CCW meeting provide their views on the key “touchpoints” of human/machine interaction in weapons systems. These include design aspects, such as how certain features may be encoded as target objects; how the area or boundary of operation may be fixed; the time period over which a system may operate; and, any possibility of human intervention to terminate the operation and recall the weapon system. Based on these touchpoints, states should be prepared to explain how control is applied over existing weapons systems, especially those with certain autonomous or automatic functions. Will states at the CCW ban killer robots? The 2018 GGE meetings are not negotiations and the CCW talks are not yet focused on working towards a specific outcome such as a new CCW protocol to ban or regulate these weapons systems. However most states agree that some action should be taken to address concerns over fully autonomous weapons, even if they disagree on what form it should take. At the CCW, France and Germany have proposed the creation of a political declaration and code of conduct, while others have called for greater transparency, especially concerning national processes to conduct legal reviews of new weapons systems. As presented so far, such proposals have lacked the fundamental moral and logical coherence necessary to make them credible. They appear to merely reflect a desire to be seen as doing “something” rather than a firm determination to avoid dehumanizing the use of force. The CCW should articulate first and foremost a legal commitment to ensuring meaningful human control and a constraint on the development of autonomy in the critical functions of weapons systems. 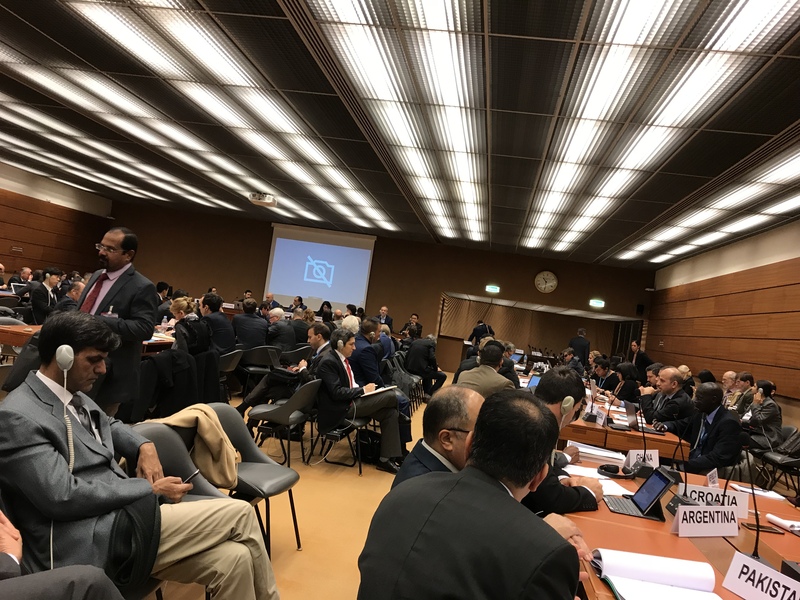 The GGE meetings should recommend that states at the CCW annual meeting in November 2018 adopt a mandate to begin negotiations on a legally binding instrument on lethal autonomous weapons systems. States should express support for that recommendation. They should also express commitment to work in coordination with like-minded states, UN agencies, international organizations, civil society, and other stakeholders to conclude a legally binding instrument prohibiting the development, production, and use of lethal autonomous weapons systems by the end of 2019. If the CCW is not up to this task, other diplomatic options should be explored. To build support for an international agreement, states should also quickly adopt national legislation banning lethal autonomous weapons systems. Rapid progress is possible, but the window for credible preventative action in the CCW is fast closing. The talks could and should result in a new CCW protocol requiring meaningful human control over attacks and prohibiting lethal autonomous weapons systems (systems that do not allow for that human control). Who will participate from the Campaign to Stop Killer Robots? The Campaign to Stop Killer Robots delegation to the CCW meeting of experts is comprised 35 campaigners from member NGOs in countries including Cameroon, Canada, Colombia, Egypt, Germany, Japan, the Netherlands, Spain, Switzerland, UK, US, and Zimbabwe. It includes key spokespersons such as roboticist Noel Sharkey. Following the precedent set by previous CCW meetings, the Campaign to Stop Killer Robots will participate in every session, make statements, circulate documents, and convene side events, on Monday, 9 April and Wednesday, April 11 in Conference Room XXIII. Women comprise half of the Campaign to Stop Killer Robots delegation to the CCW meeting, including side event speakers and media spokespersons. What is the Human Rights Council about killer robots? The UN Special Rapporteur on extrajudicial, summary or arbitrary executions last addressed a CCW meeting on lethal autonomous weapons in April 2016. Human rights are no longer considered relevant in the CCW talks, which raises the question of how to address human rights concerns with these weapons, particularly their use in law enforcement, border control and other circumstances outside of armed conflict. * 22 states support the call to ban fully autonomous weapons: Algeria, Argentina, Bolivia, Brazil, Chile, Costa Rica, Cuba, Ecuador, Egypt, Ghana, Guatemala, Holy See, Iraq, Mexico, Nicaragua, Pakistan, Panama, Peru, State of Palestine, Uganda, Venezuela, and Zimbabwe. Please follow the campaign’s social media accounts on Instagram, Facebook, and Twitter. Read the CCW working papers provided by the United States, Russia, Poland, and the Non-Aligned Movement. Campaign Briefing Note (also available in French and Spanish), Delegation List, Side Event Flyers (Monday, 9 April and Wednesday, April 11). Reaching Critical Will webpage for the April GGE meeting.